I know some of you guys are purists when it comes to restoring classic cars, but sometimes a restomod can be much better than the original. 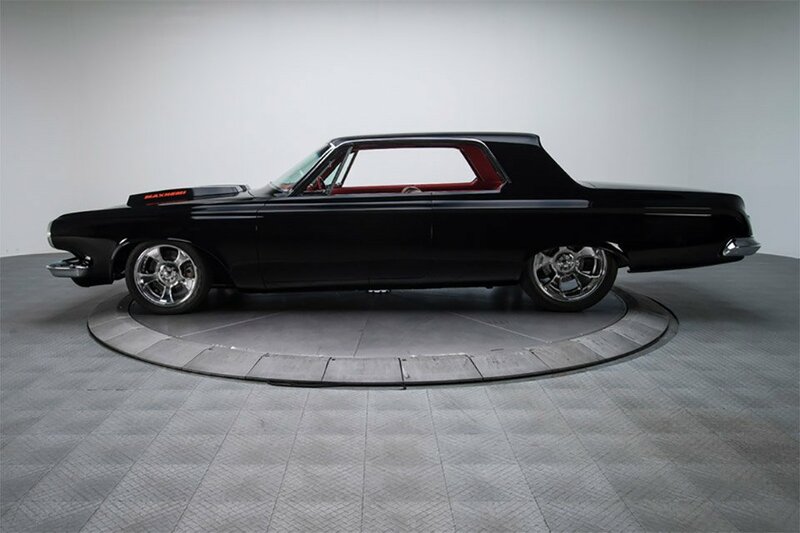 That’s definite the case with this awesome Dodge Polara, built by Boyd Coddington. 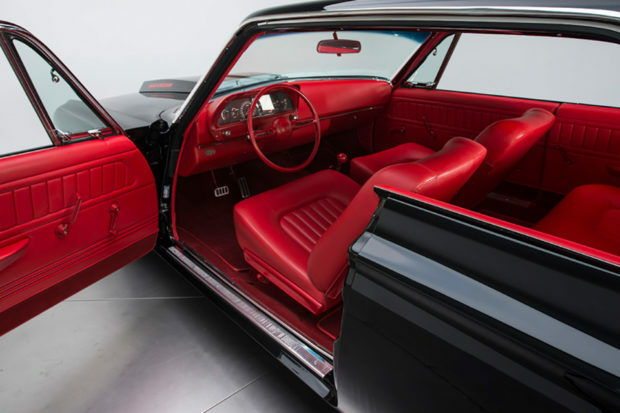 In its original form, the 1963 Dodge Polara was a bit of a stodgy looking coupe, but under the watchful eye of Coddington, it’s been transformed into this badass hotrod. Instead of the factory original V8, this black beauty packs an updated 472 Dual Quad HEMI V8, making 525 horsepower. Other than the big hood scoops and the custom 17″ and 20″ wheels, its body actually hasn’t been changed too much from the original car, but it looks fantastic with glossy black paint, and a custom red leather interior. I’m not too sure about the UFC-themed instrument panel, though. This very special custom build was actually featured on TLC’s show American Hot Rod several years back to raise funds for the Make-A-Wish Foundation, and can be yours over on eBay for $129,900 – or you can make an offer if you’re serious about buying it.